The Gastroenterology Division at Hartford Hospital gives the region's physicians and their patients fast, convenient access to superlative GI care. From routine screenings and common tests to advanced procedures and complex cases, Hartford Hospital's Gastroenterology Division offers the expert diagnostic and treatment capabilities that referring physicians demand, combined with the compassionate care every patient deserves. It is done to screen for colon cancer and to diagnose diseases of the bowel. Our center for advanced gastrointestinal procedures was built exclusively for people with complex conditions. Home to Connecticut’s most experienced gastroenterologists, they perform over 15,000 minimally invasive procedures every year. Rigorous, continuous learning ensures that all members of Hartford Hospital’s GI Medical Staff are current with emerging knowledge in their field. Explore the various gastroenterological conditions that we treat. At Hartford Hospital, we have the expertise and technology others don’t: using cutting-edge, minimally invasive techniques to treat complex digestive conditions. We deliver the most advanced care available and help you avoid surgery altogether. At many hospitals, surgery is the only option for complicated gastrointestinal conditions. 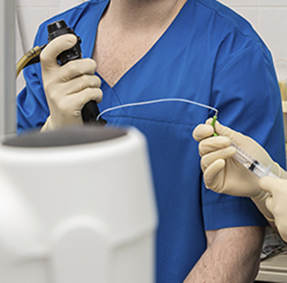 At Hartford Hospital, we have the expertise and technology others don’t: using cutting-edge, minimally invasive techniques to treat complex digestive conditions. We deliver the most advanced care available and help you avoid surgery altogether. The large number of physicians on the Gastroenterology Medical Staff means that patients referred to the division can be seen promptly. Let Hartford Hospital Glastonbury GI Center be your health partner. 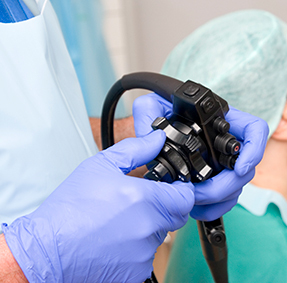 Our physicians and team at Hartford Hospital GI Endoscopy and Advanced Procedures provide expert care to help diagnose and treat a complete range of gastrointestinal conditions.